A refrigerant is anything we use to move heat from one place to another using the compression refrigeration circuit, however, the history of refrigerants and the different kinds is quite diverse and interesting. Have you ever noticed how your skin feels cool after you apply rubbing alcohol to it? For a long time scientists and inventors experimented with substances that evaporated easily at atmospheric pressure like ether and alcohol, they noticed that these substances cooled the surface they left when they evaporated away. It was understood that substances remove heat as they boil (change from liquid to vapor) because that is one way our bodies reject heat while sweating. As the sweat evaporates it removes heat from our skin leaving us cooler. This is known as an “open” process, the alcohol, ether or sweat leave as it cools so you always need more to keep the process going. The trick was to create a process that could be done over and over without losing the “refrigerant” to the atmosphere. A physician named John Gorrie built one of the first compression refrigeration machines and it used air as the refrigerant. By compressing the air it would increase in temperature and heat could be rejected out of it, he would then “rarify” or depressurize the air which would drop the temperature and allow heat to be absorbed into the air from the water and could… eventually… produce ice. There were several issues with Dr. Gorrie’s design, one big issue was that while he was using compression and expansion he wasn’t making use of the power of evaporation to greatly increase the amount of heat that could be moved. It wasn’t long before others began using refrigerants like ammonia, CO2, sulfur dioxide and methyl chloride using the same compressing and expanding that Dr. Gorrie used but with the added benefit of boiling (evaporating) the refrigerant in the evaporator to absorb a maximum amount of heat as well as the change back to liquid (condensing) in the condenser. As times have progressed refrigerants have changed in order to make them more safe for humans and for the environment. Nowadays refrigerants and refrigerant handling in the USA are regulated by the EPA Section 608. In order to legally handle and service air conditioning and refrigeration in the USA you need to pass the EPA 608 exam and carry the certification card. So what makes a good refrigerant? 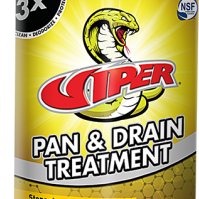 Mixes with the oil appropriately so that the oil can do the job of lubrication in the compressor as well as return. Because we have seen increased environmental regulations over the last 25 years there has been a push to find good refrigerants even if it means going into the flammable and toxic spectrum. Thankfully, refrigerants are well marked and so long as we pay attention and follow best practices there shouldn’t be any issues. The most common toxic refrigerant is Ammonia and you would generally only find it in old appliances or in large industrial applications. 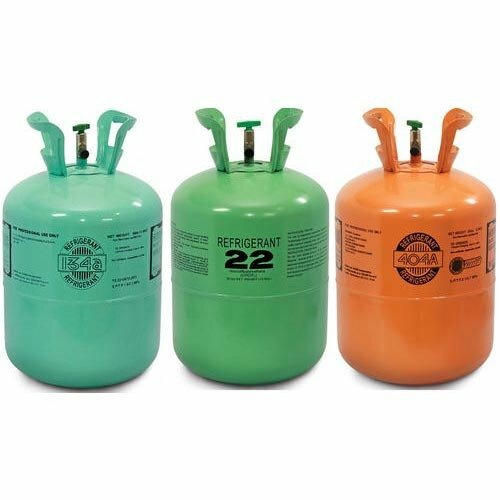 Propane (R290) is a flammable refrigerant and it is becoming quite popular in small self-contained refrigeration units like vending machines and reach in coolers. These propane units will be very clearly marked and should be handled with extreme caution, especially when electrical sparks or open flame are or could be present. Over the years I have heard technicians say that refrigerant can wear out or “lose it’s blend” by sitting in a tank. What can and does happen is called “Fractionation”. Refrigerant blends that are composed of a mix of refrigerants with different vapor and liquid PT characteristics known as Non-azeotropic, Zeotropic or in some cases near-azeotropic. 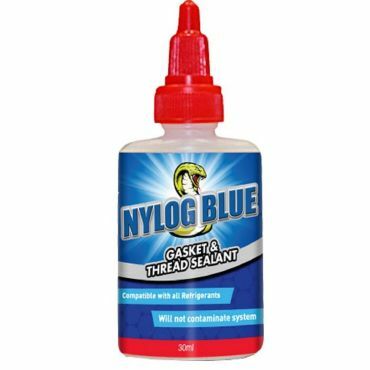 All fancy words to mean that these refrigerant blends must be added or removed completely or in the liquid state to prevent more / less of one refrigerants in the mix to be added or removed than the other. If the refrigerant is allowed to fractionate and some of it is added in the vapor only state both the refrigerant left in the tank, and the refrigerant added to the system will no longer have the designed properties of the listed refrigerant. While all blends should all be charged in the liquid state, some refrigerants are more likely to be impacted by fractionation than others. 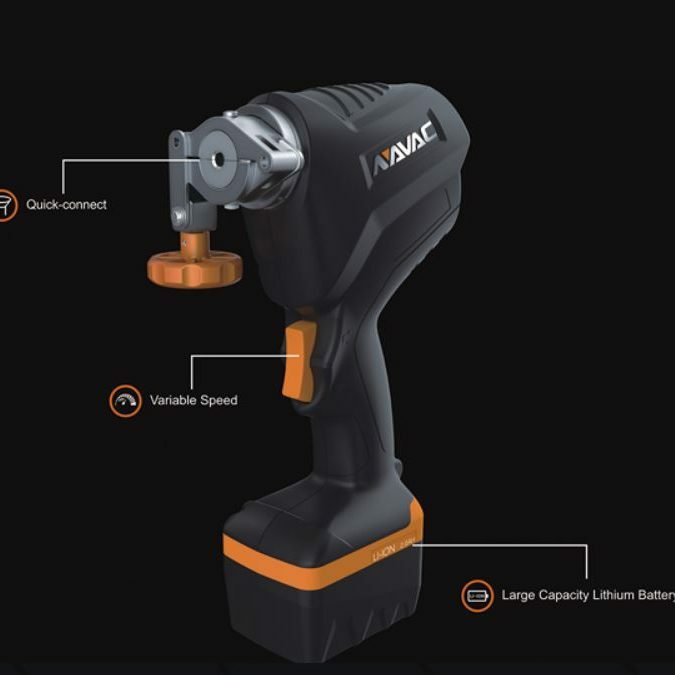 For example, R-410a (50% R-32 & 50% R-125) has very little “glide” between liquid and vapor and so while it is a blend, it is less likely to fractionate severely when charged in the vapor phase (which you still shouldn’t do). 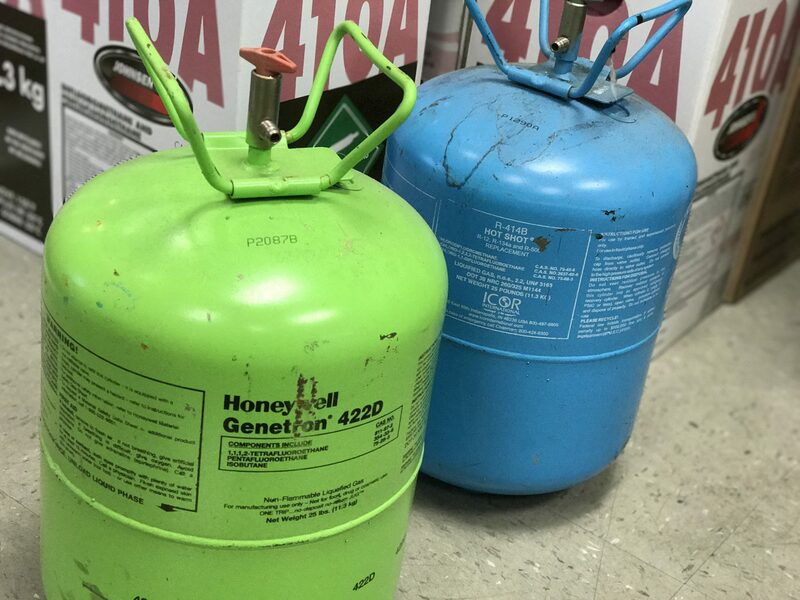 A refrigerant like R-407c ( a mixture of R32/125/134a) will fractionate much more easily resulting in far greater pressure/temperature swings and poor performance when it occurs. The system has a significant leak. The particular case of fractionation being caused by a system leak depends on many factors including what part of the system the leak occurs, the physical location of the leak and how much refrigerant leaked out. There was a study done at Purdue that shows that fractionation after leakage can be a factor in high glide systems like R407c. 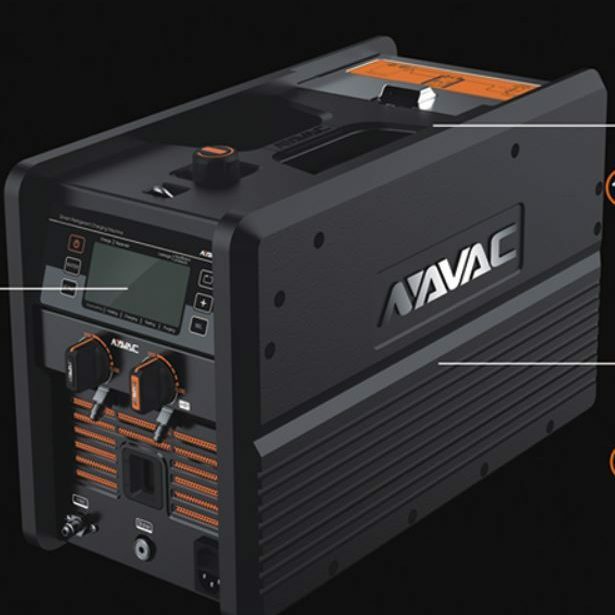 The ramifications of this depend on the specific situation, but in some cases, the only viable option will be to completely recover and recharge with a virgin charge. This is not because refrigerant has “lost its mix” from sitting, but rather because some of the”mix” has left the tank or system at a different rate, leaving an improper mix behind. There has never been a more complicated and confusing time surrounding refrigerants that what we are in right now. We are seeing flammable HC (Hydrocarbon) refrigerants with increasing regularity and EPA rules that just changed appear to be changing again. With all this tumultuous change it’s important to know what to look for in refrigerants and what makes a good refrigerant in the first place. Propane (R290) is a flammable refrigerant and it is becoming quite popular in small self contained refrigeration units like vending machines and reach in coolers. These propane units will be very clearly marked and should be handled with extreme caution, especially when electrical sparks or open flame are or could be present. Like we often do in these tech tips, we will start with the common and more practical explanation of saturation and then move to the more technical and nerdy explanation later. When we say “at saturation” or “saturated” in the HVAC/R trade we are generally referring to refrigerant that is in the process of changing from liquid to vapor (boiling) in the evaporator or vapor to liquid (condensing) in the condenser. 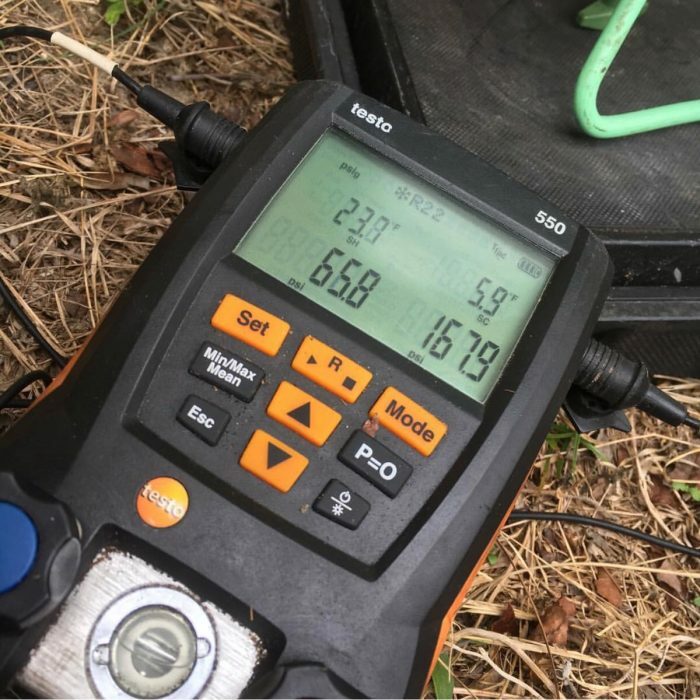 We generally look at a set of gauges or find the temperature on a PT (Pressure – Temperature) chart that matches a particular refrigerant and pressure and we call that the saturation temperature. So when a tech connects gauges to the liquid line (high side) of a system and they look at the needle they will refer to the pressure in PSI and the temperature for the particular refrigerant as saturation temperature. On the gauge above the refrigerant in the system is R22 (green scale) they would say that the pressure is 200 PSI and the saturation temperature is 102°F. 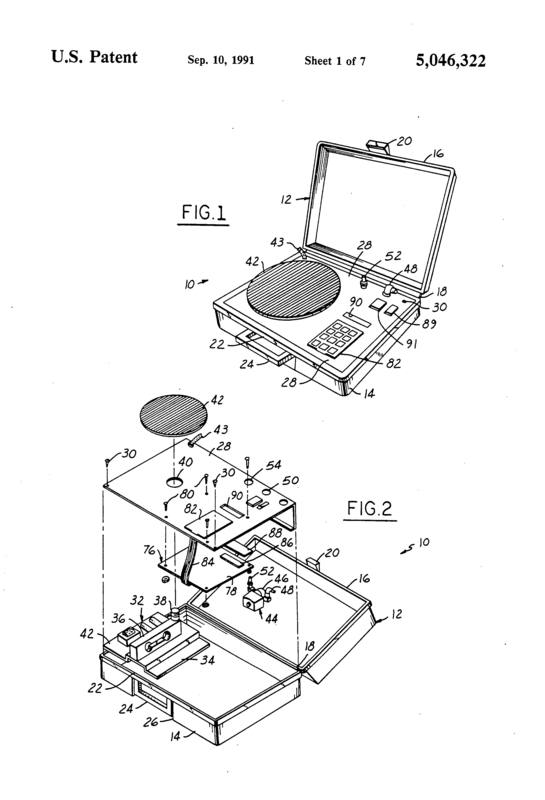 To be even more specific, a tech might say that the condensing temperature of this system is 102°F because the saturated state is occurring during the process of condensing in this particular case. One of the most common cases where we will see refrigerant at saturation is inside systems that are off as well as inside a refrigerant tank. 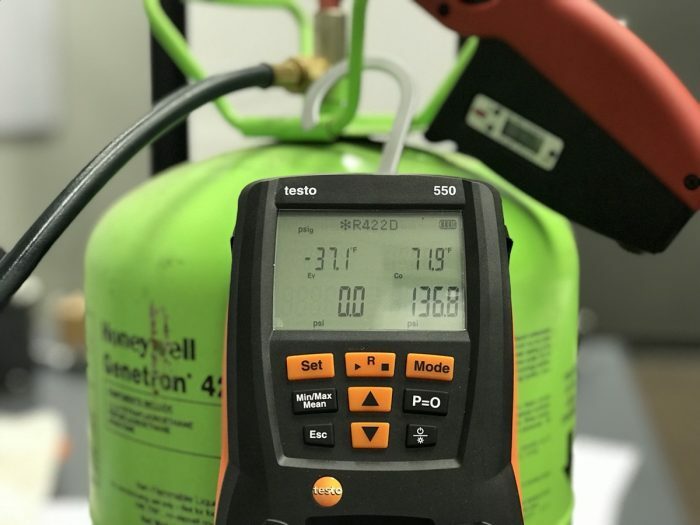 If you were to connect a gauge to tank (like this Testo 550 shown) the refrigerant pressure inside the tank will be equal to the pressure that correlates to the saturation temperature of the tank (I know that’s a mouth full but it’s really pretty simple). In the case of the refrigerant shown above the room temperature is 71.9°F and the refrigerant is R-422D. All I had to do was connect the Testo 550 and select R422D and the saturation temperature (show above the psi on the right) is EXACTLY 71.9°F. In this case, we can say the saturation PRESSURE of R422D is 136.8 PSI at 71.9°F or that the saturation TEMPERATURE is 71.9°F at 136.8 PSI. Either way, what are saying is that there is both liquid and vapor present inside the tank so it is at SATURATION or in the saturated state if you would rather. So as techs we see refrigerant at saturation pressure and temperature when the system is off, inside a tank and when it is in the midst of boiling in the evaporator or condensing in the condenser. I will warn you that this is a bit of a beating around bush explanation, but I’m writing the explanation I wish I had been given early on… so be patient young grasshopper. So when something is “full” and can hold no more of something it is said to be saturated, like a sponge saturated with water, or air saturated with water vapor or a in this case, a liquid saturated with kinetic energy. Many (including Wikipedia) will define saturation as the boiling point of a liquid. This definition is correct but can lead to a misunderstanding. Just because a liquid is at its boiling point doesn’t mean it is actively boiling. The refrigerant in an air conditioner is technically at the boiling point when the system is completely off. Refrigerant in a tank is at saturation (so long as it has some liquid in the tank) even though the refrigerant is static (nor flowing). In nature, gasses (vapor) and liquids are free to move around and interact with one another with the predominant pressure being atmospheric pressure (14.7 psia at sea level). You may have wondered why water exposed to the air will evaporate even though it has not reached the boiling temperature? This is because the temperature of a substance is the AVERAGE kinetic energy of the molecules in a substance not the specific kinetic energy of every single molecule. While there may not be enough energy for the entire substance to boil, there is enough energy in a few of the molecules to break free from the surface. This is why when sweat evaporates off of your skin your skin cools. The highest energy molecules are leaving and taking themselves and their high energy ways with them! Translation – Some molecules have more energy than others and are able to escape the liquid form out in nature and we call this evaporation. This evaporation can be measured but it happens below the boiling point and when a substance is uncontained it results in less liquid remaining. Now if you put a liquid in a jar and screw the lid on, some of the molecules will escape the liquid bonds and fill the void in the jar until pretty soon the jar will be at equilibrium (static) pressure with an equal number of molecules condensing back into the liquid as those that are escaping. The more active the molecules in the jar the more pressure there will be in the jar. Since the definition of temperature is the average kinetic energy (energy of motion) of the molecules you can translate that as “The hotter the jar the higher the pressure” or “The higher the pressure the hotter the jar”. Different liquids have a more or less tendency to escape the liquid form (evaporate), liquids that have a very high tendency to escape will evaporate more quickly and have a higher “vapor pressure” and are also said to be more “volatile”. Alchohol or gasoline are liquids that are more volatile and have a higher vapor pressure at atmospheric pressure than water and disappear quickly even when the ambient temperature is below their boiling point. 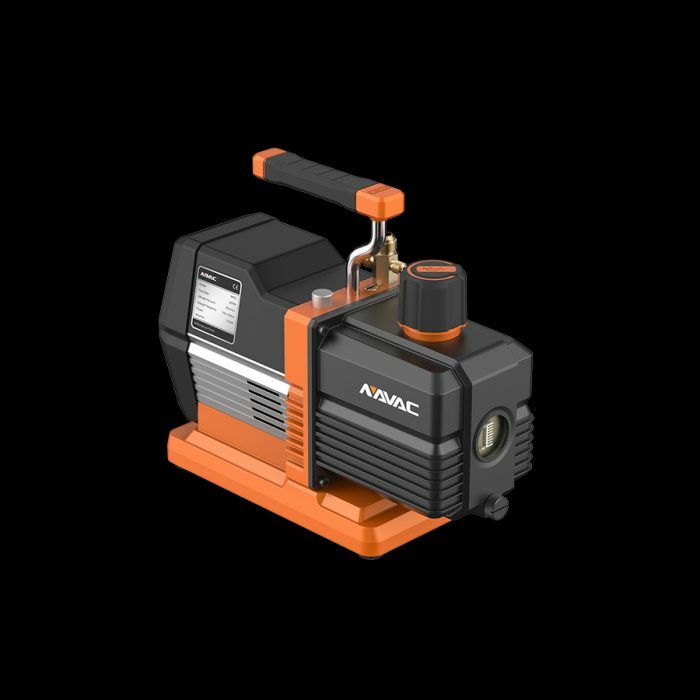 Some Liquids (like vacuum pump oil for example) have a very low tendency to evaporate and are said to have very low volatility and a low vapor pressure. Liquids with low boiling temperatures (like most refrigerants) are very volatile and have a higher vapor pressure than liquids that remain a liquid at atmospheric pressure. We know that refrigerant does more than evaporate at atmospheric pressure and normal atmospheric temperature, it literally BOILS. A liquid boils when the vapor pressure of the liquid matches the atmospheric pressure. At that point the liquid molecules begin to break free rapidly and if they are uncontained they will simply fly away like water vapor out of an open pot. If the molecules are boiling and contained they will begin increasing the pressure as they boil until the temperature of the liquid no longer increases and it hits equilibrium between the vapor pressure of the liquid and the pressure inside the vessel (tank, pressure cooker etc..). Once the vessel is allowed to reach a state of perfect equilibrium it may no longer be boiling but it can still be at the boiling point, that exact POINT of equilibrium between vapor pressure and temperature is the SATURATION POINT. But it is important to remember that it is the vapor pressure of a liquid substance being equal to the pressure around it that results in saturation and then boiling or in the opposite direction, condensing. Also… Evaporators should be called boilerators but I’m doing being nerdy for now. When I first started in the trade as an apprentice we worked on a lot of Trane heat pumps that used crankcase heaters that slid into the compressor sump on the big orange Tyler reciprocating compressors like the one below. It was very common for these heaters to break off where the wire entered the rod and short against the bottom of the condensing unit. Some of the old timers I worked with would say “This is Florida, we don’t need those things here”, disconnect it and move on. 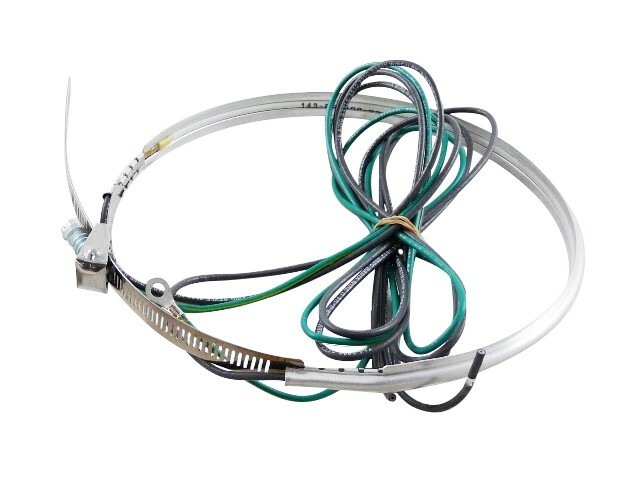 Systems that have crankcase heaters, have them for a reason and while outdoor ambient temperature is one factor it isn’t the REASON crankcase heaters exist. Refrigerant is attracted to the refrigerant oil in the compressor when the system goes into the off cycle, the amount of refrigerant in the oil and the rate at which it moves into the oil depends on the type of refrigerant and oil and the temperature of the compressor. When the compressor is off for a while a significant quantity of refrigerant can migrate to the compressor and condense. When the compressor comes on the refrigerant rapidly expands and foams the oil, forcing it out of the compressor and into the system. This is called a “flooded start” and will eventually result in compressor damage due to lack of lubrication, it also decreases system efficiency due to the oil in the system inhibiting the transfer of heat. Strategies like hard shut off expansion valves, liquid line solenoids help to keep liquid refrigerant out of the compressor and oil separators help to keep the oil in the compressor and out of the systems but the trusty old crankcase heater is still a simple and commonly used strategy to prevent flooded start. If you find one that is failed you would be better off replacing it instead of taking the word of techs who tell you just to cut it out, like I once did. 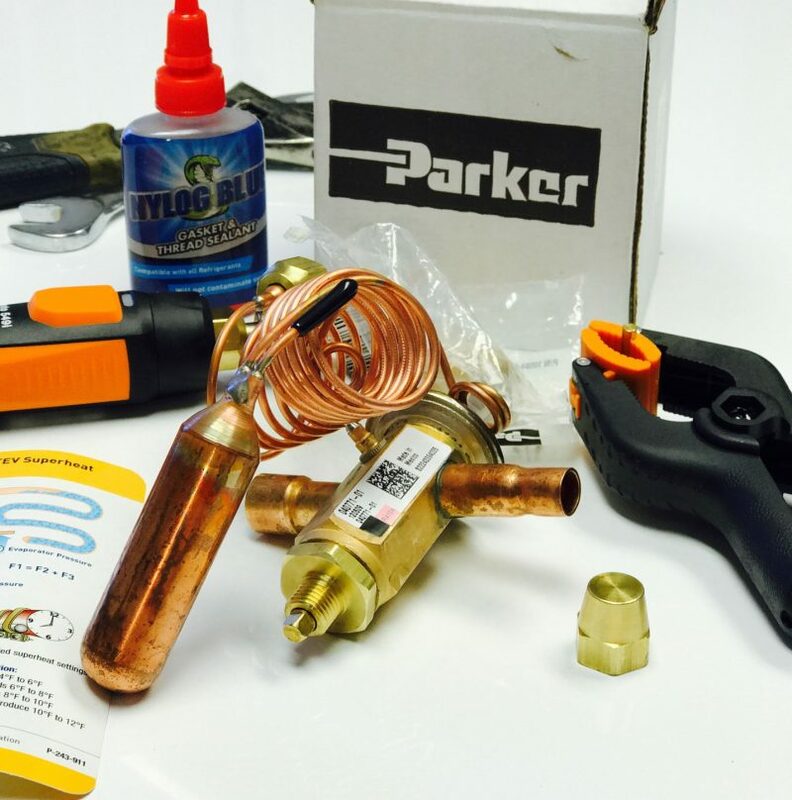 Electronic leak detection is a critical part of any HVAC technicians common practice. Unfortunately, it is also one of the most common sources of misdiagnosis. Here are my tips to make your leak detection more successful. Before starting to use your detector STOP! look for signs of leaks and corrosion throughout the entire system. I see so many techs who use an electronic leak detector with a very large leak when they would have been better served pressurizing and pinpointing the leak with soap bubbles. Use a good quality leak detector. Hint: If it costs less than $300 it probably isn’t great. I am fan of the H10G and the H10Pro although we are testing the Tifzx-1 as a possible option on the recommendation of a few good techs I trust. Many leak detectors require a warm up time for the sensor. With the H10G I allow it to run for at least 5 minutes before I start to use it. Most refrigerants are heavier than air, starting at the top and working your way down will help keep you from picking up a leak below the actual point of origin. Move really slow and when you do get a hit, remove the wand, let it clear and go back to the same point a few times before calling it a leak. Once you think you found a leak, attempt to use bubbles to fully confirm. No matter what leak detector manufacturers tell you.. there ARE other substances that can trigger your detector and refrigerant can move from one place to another due to drafts. I have seen several cases where chemicals in a garage are triggering the detector or where a tech has misdiagnosed an evaporator coil because of a chase leak where the refrigerant is being pulled from beneath the unit into the return. Look around and make sure there is nothing causing interference. Before you condemn that coil BE SURE. Use all of your resources to positively confirm the exact location of the leak. A little patience goes a long way.